David A. Miller established his practice in 1992 after extensive experience with larger entities with the primary mission of providing quality, and responsive service to small businesses and individuals. His prior experience included serving as corporate counsel to one of the world's largest aerospace companies (in Washington DC). He has also served as a staff attorney with the US Department of Labor and as a law clerk at the US Department of Justice and also worked in a mid sized private law firm in his hometown of Newton, MA before starting his own firm. Mr. Miller earned his J.D. (law degree) from the University of Maryland School of Law in Baltimore, MD and his B.A. undergraduate degree from Tulane University in New Orleans, LA. Mr. Miller is a member of the American Bar Association, Massachusetts Bar Association and many other voluntary legal associations and clubs. 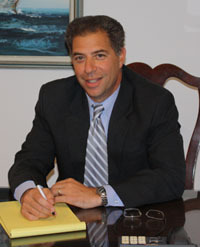 In addition to his professional practice, Mr. Miller conducts entrepreneurial seminars and teaches real estate and business law courses at the Boston Center for Adult Education and the Newton Community Education Center. He also provides free legal clinics to Boston University students and staff. Mr. Miller serves as legal counsel and member of the Board of Directors for LCDC, a non-profit clinic for emotionally disturbed children and is also a volunteer YMCA basketball coach and Little League baseball coach in Newton.